These are some pretty big names, Morty. 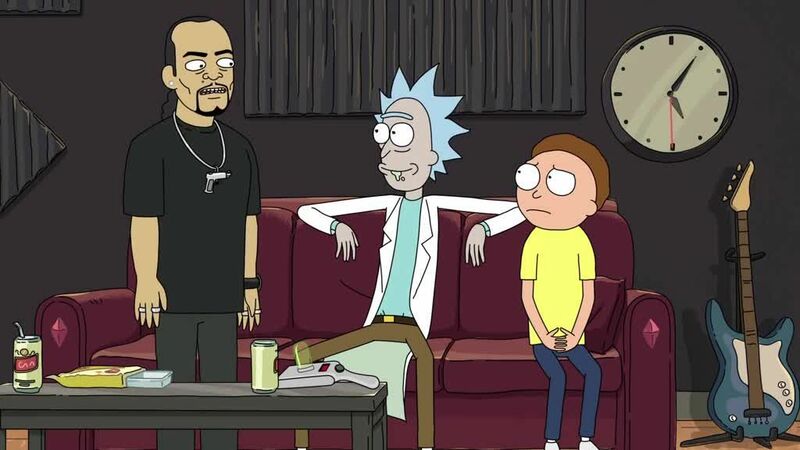 As Adult Swim’s widely beloved Rick and Morty gears up to air Episode 2 of its long-awaited third season Sunday, July 30, the animated sci-fi show is continuing what will be its most star-studded season of the show yet. Co-creator Justin Roiland might voice both of the title characters on Rick and Morty, but the show has also employed a number of other comedic voice actors to play one-off characters. Previous seasons have included guest stars like Werner Herzog, Jemaine Clement, Stephen Colbert, and John Oliver, just to name a few. When Earth was beset by Cromulons in “Get Schwifty” — Season 2, Episode 5 — the President of the United States (as voiced by Keith David) sought the help of Rick to come up with a song that would satisfy the giant, weird heads. Keith David proved an entertaining and comical addition to the show. While it’s uncertain how or why the President might call upon Rick once again, this might tip us off that the entire Earth might be in danger once again. Christian Slater has a wide and varied filmography under his belt, most recently the hacker drama Mr. Robot, in which he plays the mysterious leader of a group of hackers looking to take down corporate America. Sarandon is an Academy Award- and BAFTA Award-winning actress who has been acting since a very young age. Recently, she’s lent her voice to animated series like Skylanders Academy and American Dad. Yet another Community alum with an extensive working history with Dan Harmon, Joel McHale has performed in an array of comedic roles in both live action and animation, as well as stand-up comedy. He was also writer and host of The Soup for ten years. Gillian Jacobs worked previously with Rick and Morty co-creator as a key member of Community’s ensemble cast as Britta. She also stars in Netflix’s Love as the female lead. The badass Danny Trejo has spent much of his career typecast as villains and antiheroes, but villains and anti-heroes that fans tend to love. He’ll have an important role in the upcoming Season 4 of The CW’s The Flash, but he’s also done plenty of voice in work video games over the years and in roles like El Moco in the broader Shrek-based Puss in Boots franchise. It’s hard to say whether Thomas Middleditch is more easily recognized from his starring role on HBO’s Silicon Valley or from his ubiquitous and vaguely grating Verizon commercials, but it’s even harder to dispute that he has one of the most recognizable voices around right now. Rick and Morty Season 3 continues on Sunday, July 30 at 11:30 p.m. Eastern on Adult Swim.